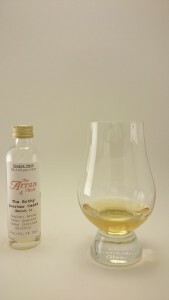 Arran The Bothy was initially matured in first-fill ex-bourbon barrels and afterwards finished for at least 18 months in smaller quarter casks for a faster, more intense maturation due to the greater spirit to wood ratio. Back in the 18th and 19th centuries, it was common on Arran to use smaller casks as they were easier to transport around the island. The Bothy revives this tradition. By the way, a bothy is a is a basic shelter, usually left unlocked and available for anyone to use free of charge (thanks wikipedia!). 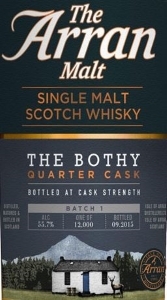 So either “bothy” has also another meaning I am not aware of or I don’t fully understand what this has to do with whisky. May it as it be, it’s time to taste. Very rich. Lots of vanilla and warm caramel, balanced by all kinds of tropical fruits: canned pineapples, dried coconuts, unripe bananas and green mangoes. 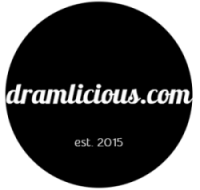 Hints of cinnamon and orange blossom, followed by sweet malt, dusty sandalwood and citrus candles. Creamy and fresh. A thrilling balance between sweet citrus fruits and spicy elements of pepper, chili and ginger. Fresh pineapples and green apples emerge, together with hints of vanilla and bitter oak. Medium with a dry bitterness. Oak and dried flowers combined with a whiff of citrus fruits and peaches. I really like The Bothy, although it has some youngish elements in it. Either that, or the maturation in the quarter casks was a bit too long. Anyways, overall another really good expression from Arran, especially when you like the combination of lovely exotic fruits and strong spices. I like to read your notes, great!